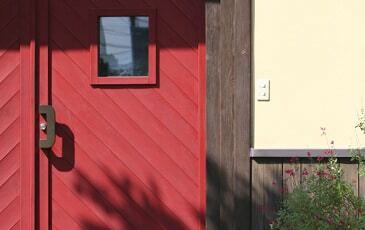 KIZAN WINERY is a small family-operated winery. 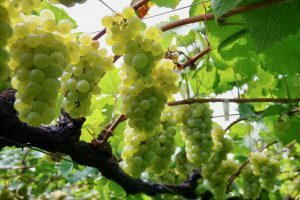 For more than 75 years, Tsuchiya’s family has been growing grapes and making wine and brandy in ENZAN. 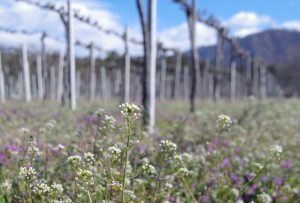 We have been making both white and red wines in the traditional way, and to the end we believe that the Japanese varietal wines are best suited for the Japanese dishes. In 2009 vintage, we crashed 40 tons of grapes. 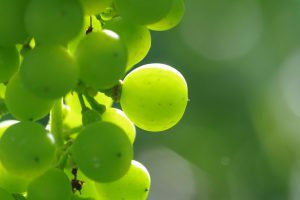 Approximately 30% of the grapes were harvested in family-operated vineyards and the remainder was bought from neighboring growers. KIZAN WINE is truly regional wine. 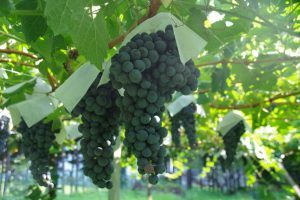 Viticulture in Japan has many disadvantages. Firstly, and most seriously, it is high humidity during growing season. Because we have a lot of rain in July (flowering season) and September (just before harvesting), many disease problems occur. 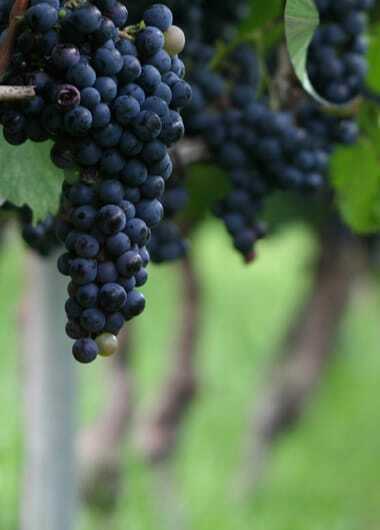 Especially, European varieties, which usually have thin skins and relatively small berries, are less resistant to powdery and downy mildews and bunch rot. Secondly, as soils tend to be acidic, soil amelioration is necessary. 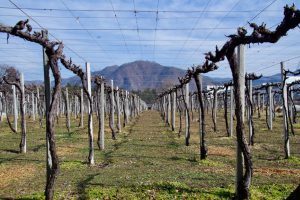 Finally, as each vineyard is small (average size of vineyard in Yamanashi is less than 1 ha/grower) and located on the steps, vineyard mechanization is difficult. 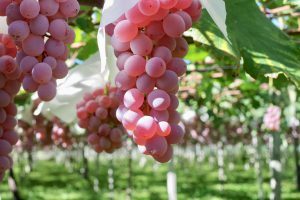 Therefore growing good grapes in Japan is very labor intensive. The third generation Kozo started his winemaker’s career in 1994 after awarded Ph.D. in microbiology. He decided to make high quality wine in world terms from traditional French varieties. His wife Yukari, who is also an oenologist, had studied Oenology (winemaking) at the University of Adelaide (Roseworthy) in Australia, which has one of the highest education systems for Oenology and Viticulture in the world. 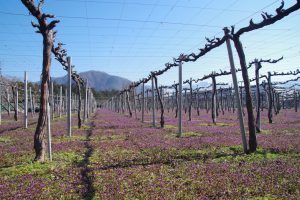 With maintaining traditional style, KIZAN WINERY is challenging to next success. Almost of the wine is sold from the winery through mail or telephone order. Of course you can buy Kizan WINE from the cellar door. 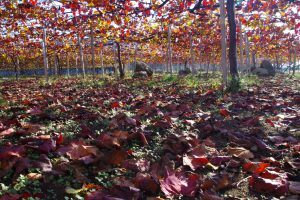 Come to KIZAN WINERY, and taste various wines and brandy not usually available: limited release varieties, long aged and of sharing in the enthusiasm of the winemakers. Visitors are free to look around winery facilities and barrel aging cellars. Our 130 year-old traditional Japanese house can also give you unforgettable impressions. Sorry we do not ship our wines to overseas.